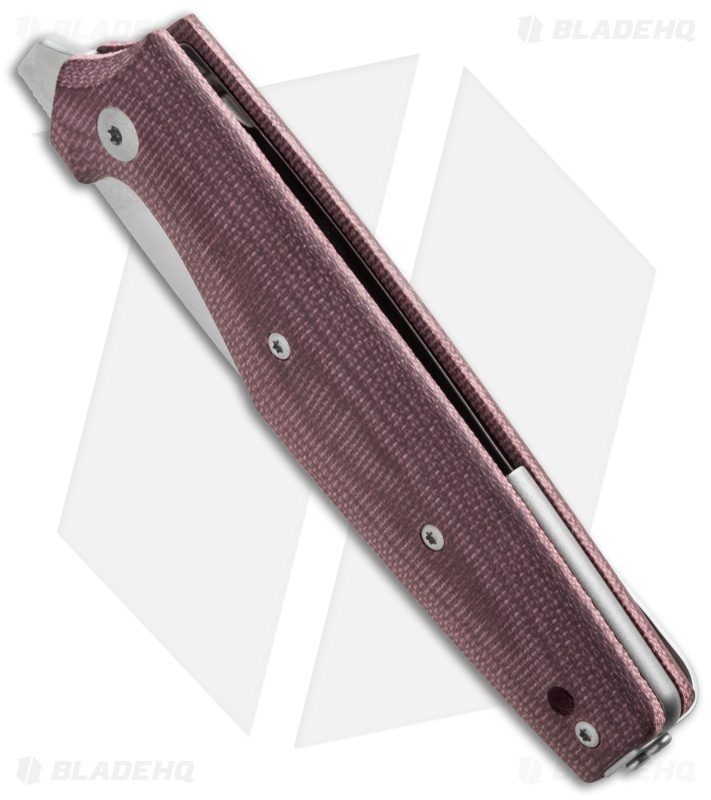 Designed by Tommaso Rumici, the DAN model from Viper Knives is a sleek folding knife for everyday use. 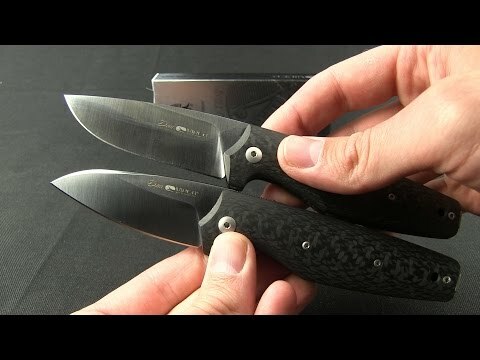 The model name DAN is an acronym for "Daily Assorted Needs" and is followed by a number that identifies the blade shape; 1 is the drop point blade and 2 is the wharncliffe blade. It is equipped with the Action Stopper® slip joint mechanism to comply with restrictive laws in urban areas, yet provides the essential edge for your daily chores. 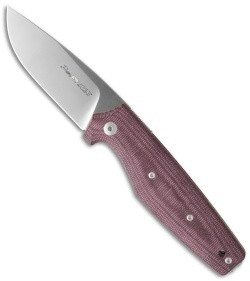 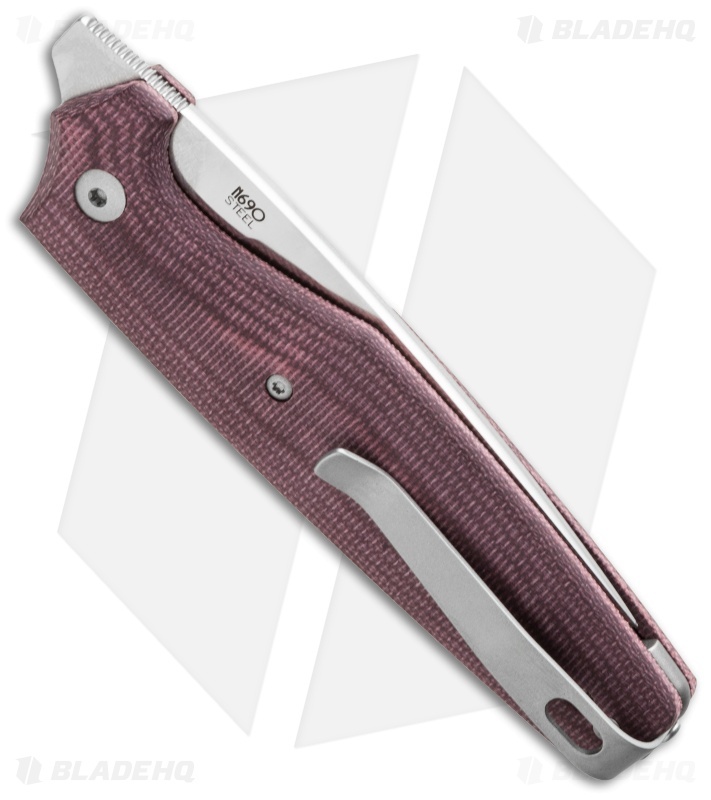 The DAN1has a drop point blade and this model has a burgundy canvas Micarta handle with a titanium spacer and stainless steel pocket clip.